A bench comprising Justices R Subbaih and Krishnan Ramasamy refused to stall the proceedings of the commission and disposed of the petition filed by the hospital seeking to quash the government orders which laid down the terms and reference of the probe panel. Jayalalithaa died on December 5, 2016, over two months after being treated for various complications. 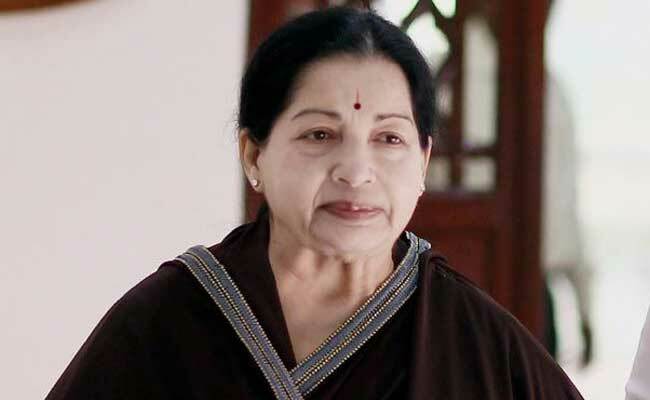 The Madras High Court on Thursday rejected Apollo Hospital's objections to an inquiry commission set up to probe the death of late Tamil Nadu chief minister J Jayalalithaa looking into aspects of treatment given to her. As mandated by its terms of reference, the Justice A Arumughaswamy Commission of Inquiry was empowered and entitled to go into the appropriateness, efficacy, adequacy or inadequacy of the treatment given to J Jayalalithaa during her 75-day hospitalisation in 2016, it said. It also rejected the prayer of the hospital for setting up a medical board to assist the panel during the inquiry. The court found fault with the commission over the procedure adopted by it in filing an application before the panel through its own counsel and also the counter to Apollo Hospitals. The counter had observations alluding to collusion, conspiracy, inaction and inappropriate treatment against the hospital and the then state Health Secretary. The bench said if a harmonious interpretation was made to the terms of reference, the government was careful enough to include the word "subsequent treatment provided till her unfortunate demise on December 5, 2016". This meant the nature and extent of treatment given by Apollo Hospital, which includes appropriateness, adequacy or inadequacy of the treatment, the court said. "We are of the view that if the commission is restrained from going into the correctness, efficacy, adequacy or inadequacy of the medical treatment provided by the petitioner hospital, it would only defeat the very object with which the government had appointed the commission of inquiry," it said. Therefore, the panel can go into the correctness, efficacy, adequacy or inadequacy of the medical treatment provided by Apollo Hospital by screening the records produced before it and arrive at a conclusion, the bench said. It disagreed with the hospital's contention that a retired judge of the high court (Arumughaswamy) cannot be the competent person to deal with the complex and intricate medical treatment and hence experts and professionals should be included in the panel. Even in the absence of inclusion of experts or professionals, as per Section 5B of Commission of Inquiry Act, the commission can independently take the aid of any person who, in its opinion, shall be of assistance for conducting the inquiry. Referring to the hospital's charge that its doctors were repeatedly questioned and harassed, the bench said it was not inclined to accept the submissions that witnesses (doctors) were wantonly, willfully and deliberately harassed by the commission. Though the commission had cast certain aspersions against the petitioner hospital, it will not vitiate the inquiry proceedings hitherto conducted, the court said expressing hope the panel will confine its inquiry strictly within the scope and ambit of terms of reference. The government had set up the inquiry commission to look into the circumstances leading to the death of late AIADMK supremo on December 5, 2016, citing doubts expressed by various people.